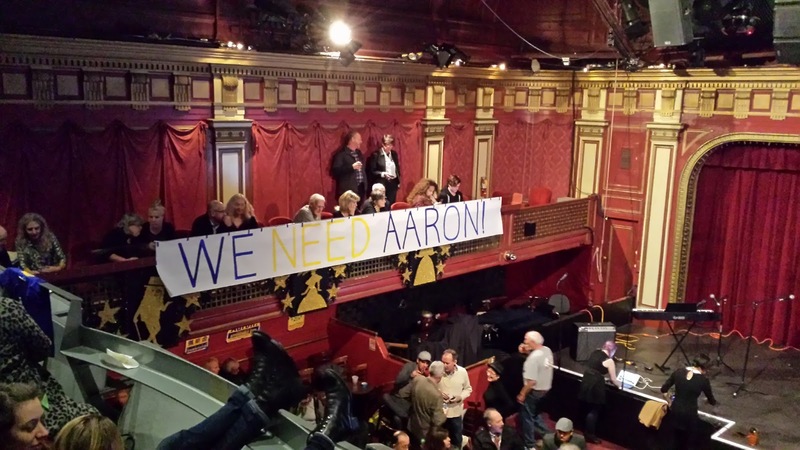 The mood was upbeat as the party thanking supporters and celebrating victory for District 3 Supervisor Aaron Peskin got under way Tuesday night at North Beach's historic Club Fugazi, otherwise known as the home of San Francisco's longest running show, Beach Blanket Babylon. Though the margin was slight in the early hours of reporting confidence was high that Peskin would handily defeat Mayor Ed Lee appointee Julie Christensen. Fellow Supervisor David Campos called it from across town, live at the Mission's El Rio and on Twitter when he said, "Looks like we will have a progressive majority at the Board of Supes for first time in years!" What San Francisco won't have-- for now, that is-- is a new mayor. Lee's win was by no means a mandate, as candidates Francisco Herrera, Amy Farrah Weiss and Stuart Schuffman, also known as the 1-2-3 Anyone But Lee ticket, along with Kent Graham and Reed Martin, took in an impressive 45 percent of the vote. As of this morning, 1-2-3 supporters seem to be in favor of running a recall election, confident they could collect the 40-50,000 signatures required. There was a disappointing though not unexpected defeat of beleaguered Sheriff Ross Mirkarimi by insider and Lee favorite Vicki Hennessy, and there were victories for Legacy Business Legislation, an affordable housing bond, the development of contested space on the Bay at Mission Rock and use of surplus public land, but it was Peskin's victory that served as the best news of the night for progressives whose two most important ballot measures, Prop F, regarding homesharing regulations, and Prop I, concerning a moratorium on development in the Mission District were defeated by the monied interests that support them. An eleventh hour protest on Monday at the Airbnb headquarters was not enough to persuade fence-sitting voters that a no vote on F means more for Airbnb and its illegal home-sharers, and less housing for actual San Franciscans. Though undoubtedly the protest and other Yes on F efforts got a few more people out to vote, the problem in general was as ever, low voter turn out (about 25 percent) for the local election. Those who do vote local, traditionally swing to the conservative side, even within the Democratic party (recommendations from the DCCC didn't help). 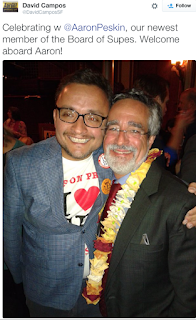 Nevertheless, Peskin's victory remains a galvanizing force in the movement to "take back San Francisco" from the greedy and corrupt forces that have long-occupied San Francisco City Hall and which have officially grown viral and poisonous with downtown tech interests, an ill-equipped and complicit media, and city governance, joined at the hip. The hope is, this is the beginning of the change, or as Supervisor Campos tweeted last night, "A year from now we'll be looking at tonight as the beginning of the end of corporate greed in San Francisco!" UPDATE: How Did Airbnb Win? Glad you asked. 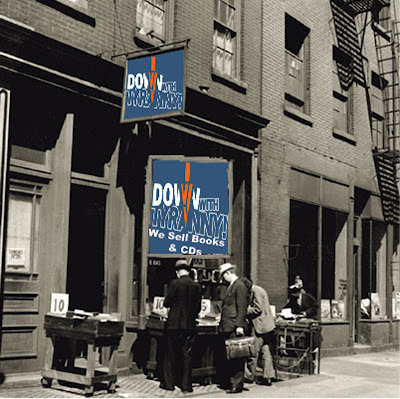 Conor Dougherty and Mike Isaac addressed just that in a NY Times piece yesterday, Airbnb and Uber Mobilize Vast User Base to Sway Public.Their point is that both companies fight back against the legitimate concerns of local citizens by "turning their users into a vast political operation that can be mobilized at any sign of a threat." Airbnb offered the latest and most vociferous example of this on Wednesday. Fresh off defeating a San Francisco measure that would have severely curtailed the company’s business in its hometown, Airbnb staged a news conference that functioned as a warning shot to other cities thinking about proposing new regulations. [Shady ex-Clinton Administration double-talker, AKA- "the Master of Disaster"] Chris Lehane, a Washington political operative who now serves as Airbnb’s head of global policy and public affairs, framed Proposition F as a hotel-industry-led attack on the middle class. In this city of about 840,000 people, roughly $8 million was raised by groups opposed to Proposition F-- about eight times the amount raised by the proposition’s backers, according to records filed with the San Francisco Ethics Commission. Much of that money was spent mobilizing Airbnb hosts and users, Mr. Lehane said. Still, he repeatedly homed in on one of the company’s most important talking points: Airbnb’s victory was a win for the middle class. Airbnb is preparing for more fights. Mr. Lehane said the company was working to organize voting blocs in other cities where it operates. By the end of next year, he said, the company has a goal of creating 100 “clubs” made up of Airbnb home-sharers-- sort of like local unions. Companies like Airbnb and Uber have become multibillion-dollar companies by employing a kind of guerrilla growth strategy in which they set up a modest team of workers in a city and immediately start providing their services to the public, whether local laws allow them to or not. ...Mr. Lehane and Mr. Plouffe have both tried to frame their companies as middle-class saviors in a moment of economic anxiety and income inequality-- themes that are playing out in the presidential election as well. Jeb Bush and other Republicans have bragged about their Uber rides on the campaign trail, praising these companies as the future of self-sufficient employment. Democrats have taken a more cautious approach. Hillary Rodham Clinton has repeatedly questioned what such employment means for workers’ rights. Liberal economists who advise Mrs. Clinton have criticized such part-time labor as yet another means to chip away at workers’ benefits. But such companies have a potent tool in the form of their platforms and smartphone apps, and they have shown little hesitation in using it to encourage their users to protest or vote. ...[I]t is unlikely the Airbnb debate in San Francisco has ended with the election. On Tuesday, San Franciscans also elected Aaron Peskin, a longtime San Francisco progressive, to its Board of Supervisors. In an interview, Mr. Peskin promised the Airbnb issue would not go away.